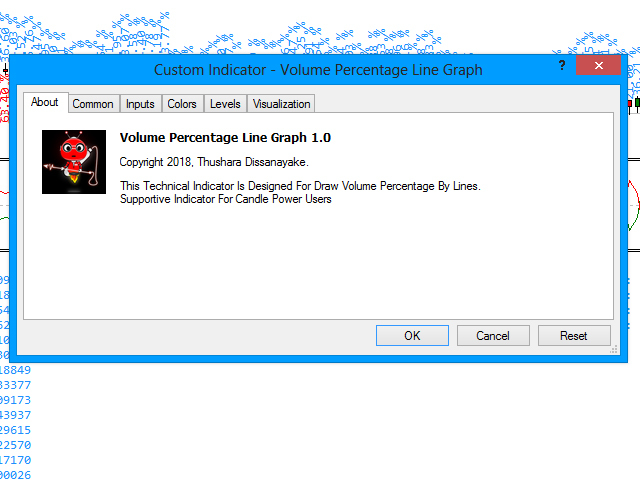 The Volume Percentage Line Graph is a volume data grabbing indicator. 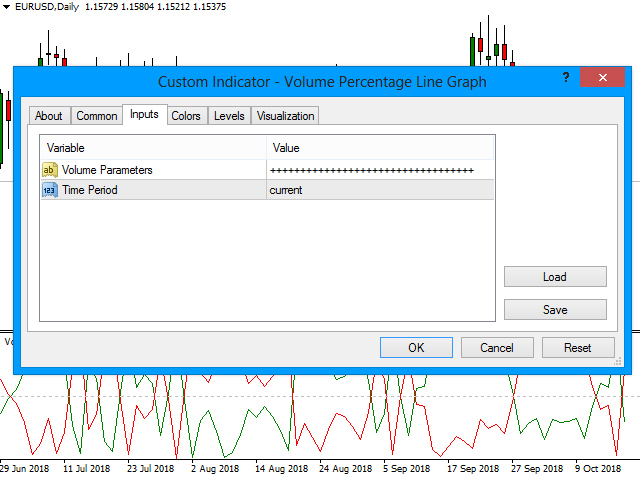 It grabs total volume information about candles and display lines on a separate window as a percentage of the total volume like, Sellers: 10% - Buyers: 90%. 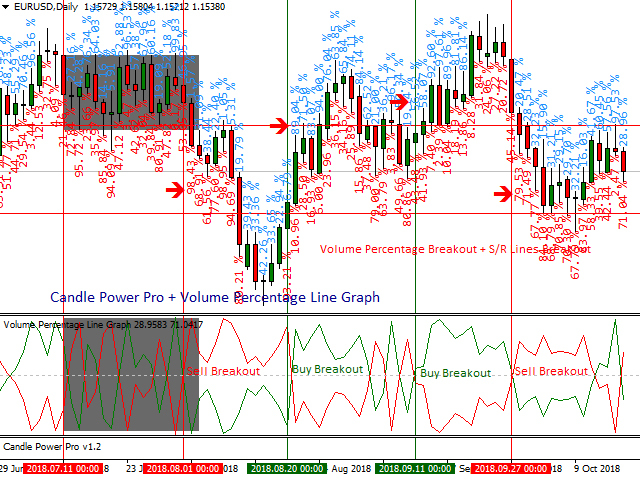 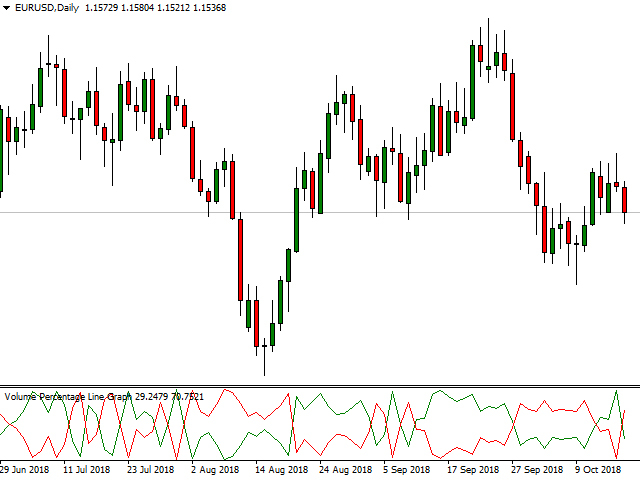 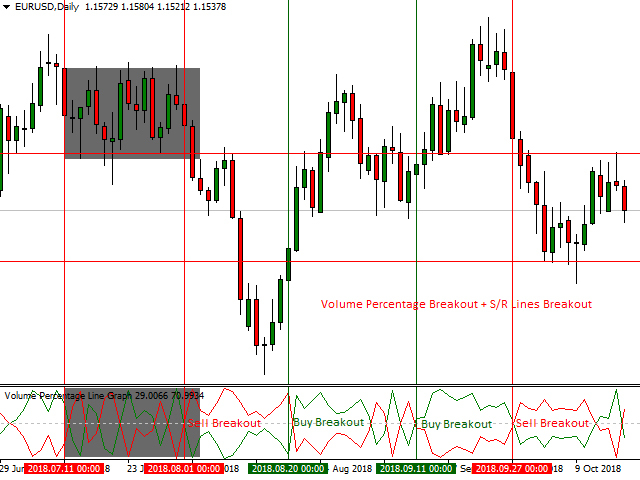 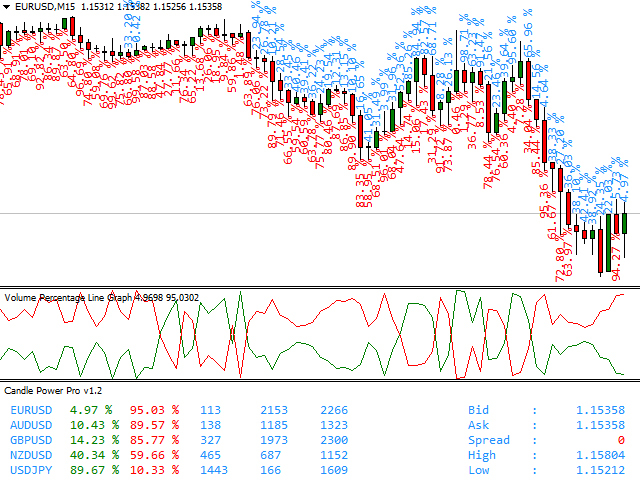 This indicator is a supportive indicator for Candle Power Pro and Extract Candle Power users.